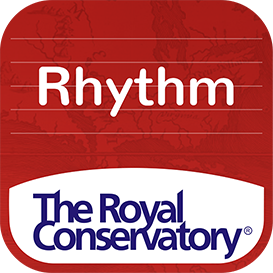 Convenient, flexible, and independent learning experiences that provide students with a foundation of musical knowledge and an opportunity to earn RCM recognition from the comfort of home! 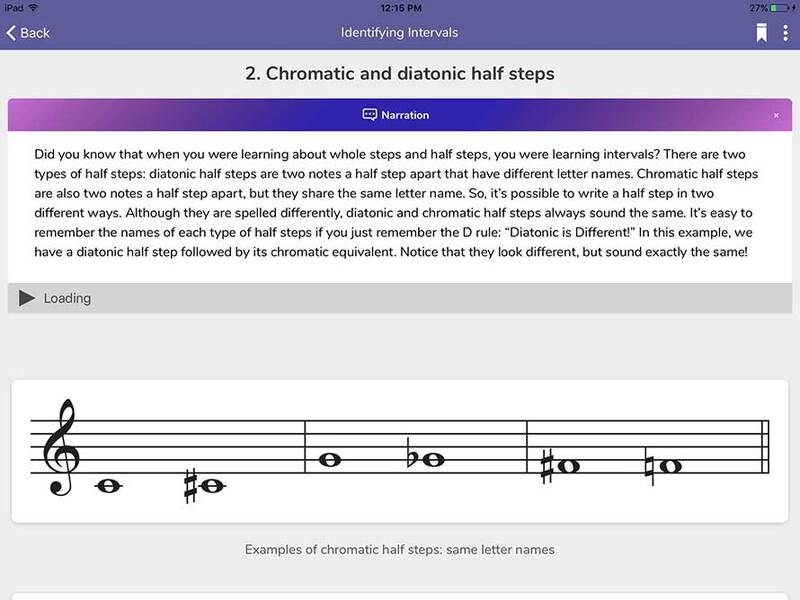 Completing courses on an iPad is recommended to ensure a seamless learning experience, and allow students to download Practice Apps designed to integrate with the content and learning at each level of study. 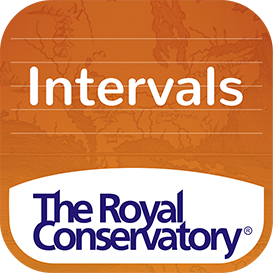 Learn at Your Own Pace, Anytime, Anywhere! Take Tests and Exams When You’re Ready. 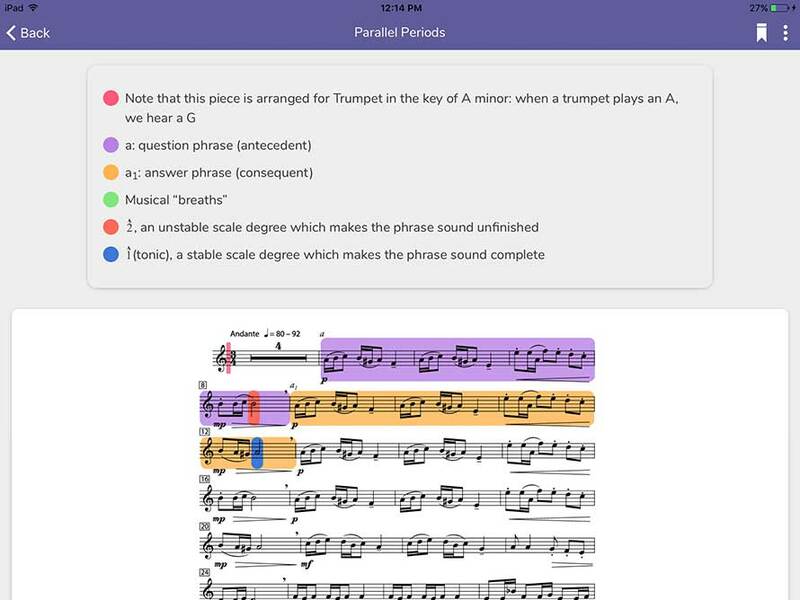 Practice Tests can be completed as many times a student wishes before taking the Unit Test. 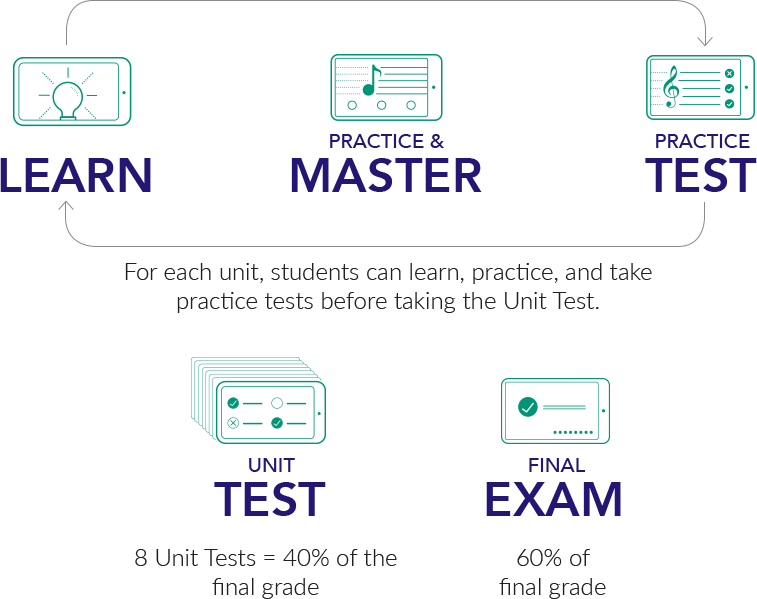 Unit Tests can only be completed once and cumulatively represent 40% of a student’s final grade. 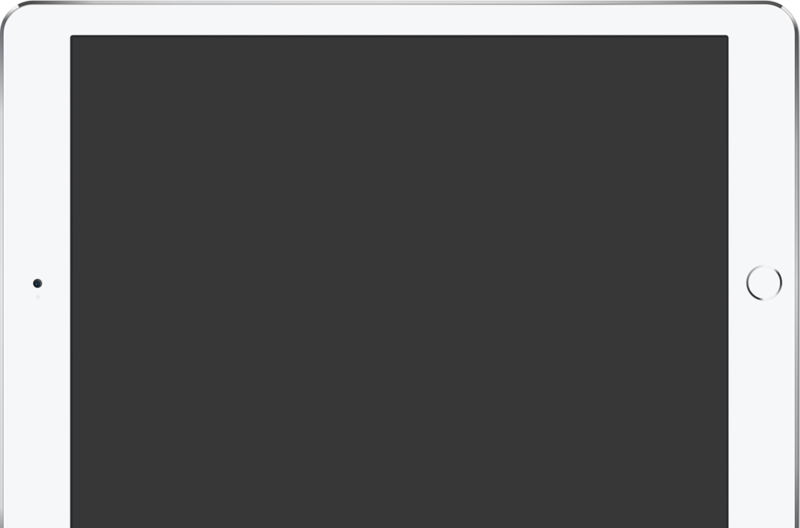 After all Unit Tests have been completed, the student can take the Final Exam which will represent the remaining 60% of the final grade. Best of all, no more waiting for an examination session or traveling to an exam center. Students can take the Unit Tests and Final Exam when they’re ready, from a comfortable home environment! 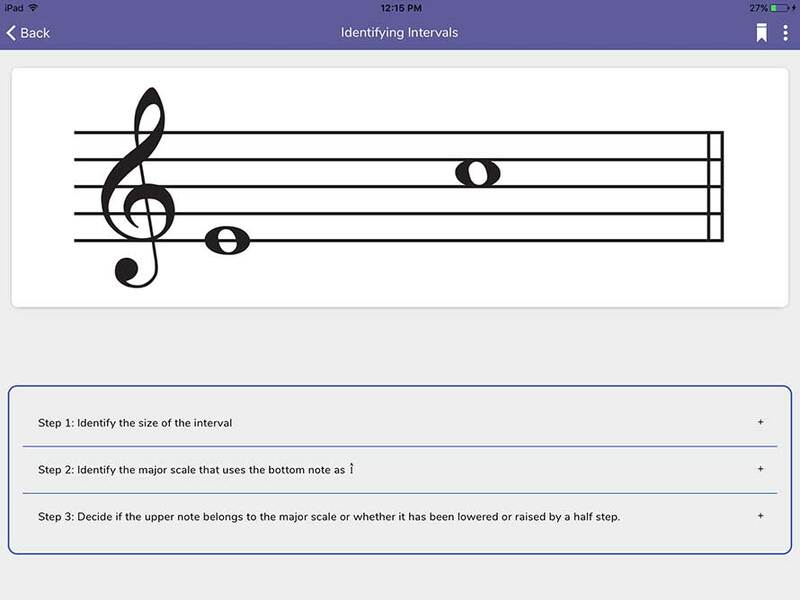 To fully prepare students for taking the Unit Tests and Final Exam, each concept covered in the course begins with a mission and ends with an invitation to practice concepts in our RCM Music Theory Apps. 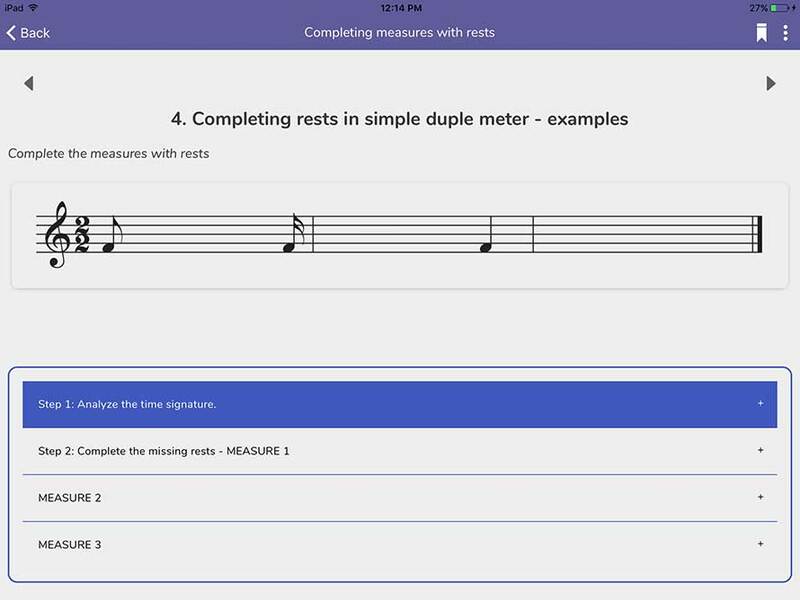 To fully prepare students for taking the Unit Tests and Final Exam, each concept covered in the course begins with a mission and ends with an invitation to practice concepts in our RCM Music Theory Practice Apps. 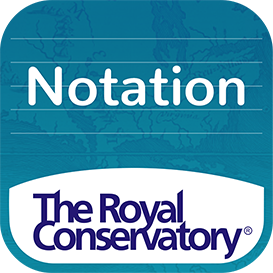 We strongly recommend that the final online exam be proctored to ensure that RCM Online Theory Exams can be considered for secondary school credit the future. We are in process of establishing a proctoring process. Learn more here. Have an RCM Account? 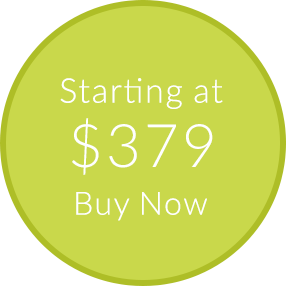 Log in to your account before purchasing. The best way to master Theory concepts. 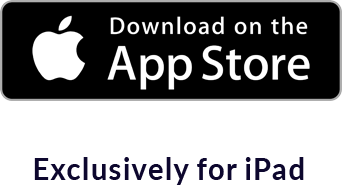 Exclusively available for iPad, download each of the 8 apps and purchase your level on the App Store. 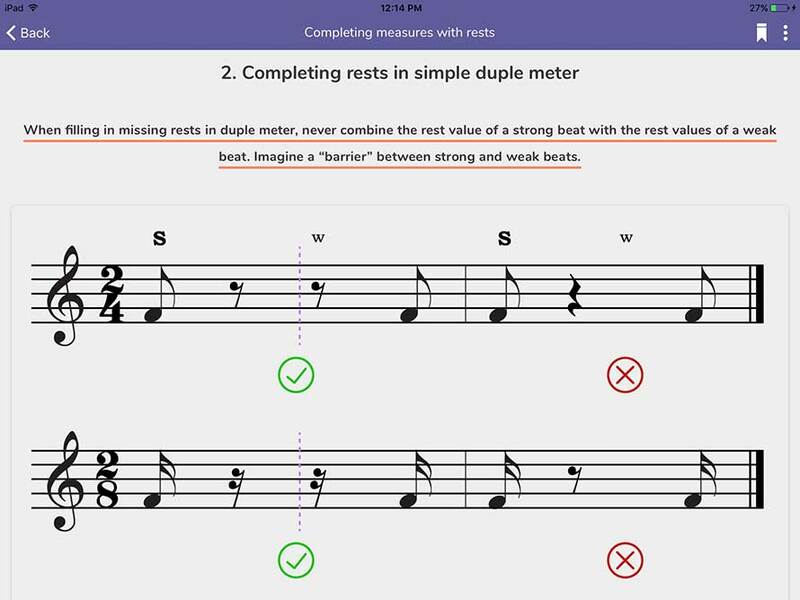 Designed to complement each level of RCM Music Theory Online Courses, these apps are invaluable resources for students preparing for RCM Theory Examinations. 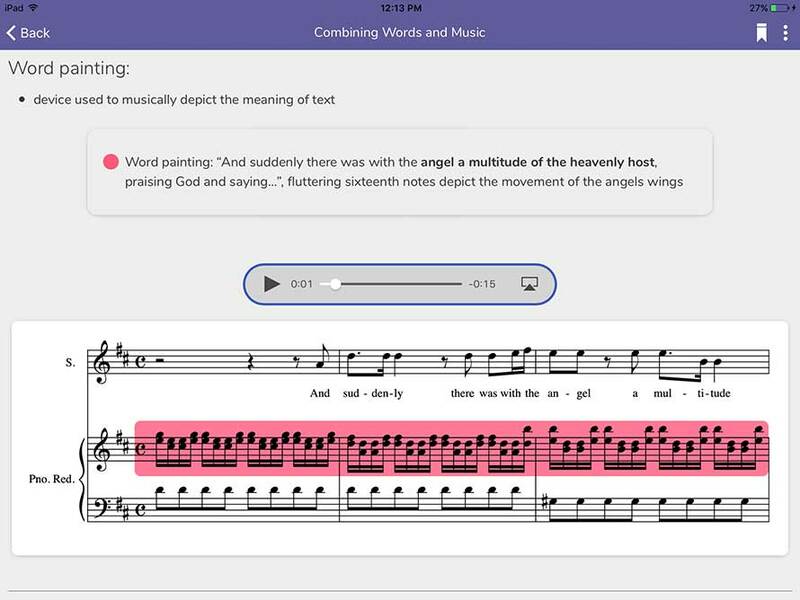 The apps may also serve as standalone resources to help students sharpen their skills and gain confidence in the application of their knowledge. RCM Music Theory Apps are not a required resource for RCM Music Theory Online courses, but are highly recommended to enhance the learning experience and ensure online exam success!